7 Days with Eric Salas, guest speakers and your dogs in one of the most beautiful places on earth. This workshop is for anyone with a dog; companions, agility, rally, obedience, conformation, or just to create a lifelong bond. This workshop is for beginner to pro, for solving problems to just fine tuning. You will learn more in these 7 days about training dogs than most people will learn in a lifetime. Go to www.EricSalasWorkshops.com for more details! Eric Salas is available to travel anywhere in the world or come to Eric Salas for private and group lessons. Eric Salas is available as a guest speaker and live demonstrations for any special event such as; Kennel clubs, dog shows, specialties, grooming shows, or animal behavior workshop and training. Eric Salas has trained and turned around some of the most difficult dogs in the world using respect, kindness and posative training. Send your dog to Eric for fine tuning, inital training, social skills, motivation for the ring or to fix specific problems in or out of the ring. Please Subscribe Today it is FREE! Without a subscription, you will only have access to some of the videos. Special events and tutorials will be loaded and available only to subscribers. 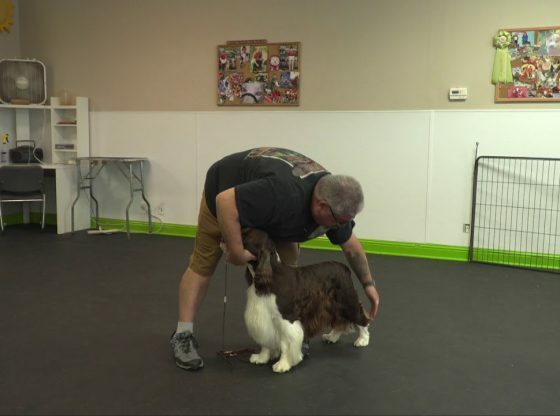 This is the most in-depth channel on creatively and efficiently Training to Handle and Groom dogs at a high competition level. See the latest techniques and the best products and tools available. The techniques taught in animal behavior will help every household. All Video Footage is copyrighted and may not be used by ANYONE unless you have the written permission of Eric Salas. Best dog trainers in San Antonio. Obedience training, advanced training, agility classes, dog training for shows. World class instructors and facilities. Eric Salas. All Breed Handling, Grooming, Behavioral, Workshops information. All Breed Handling Workshop Part 1. This workshop is designed to help us identify both obvious and subtle areas in your training and handling skills, together we will make them your strongest areas. This index lists all articles published in Dragon and Strategic Review, alphabetically by subject.The author, issue/page number and game system is listed for each entry. Where a "--" is noted under "System", it means that article does not pertain to any specific game system, or to several different systems.